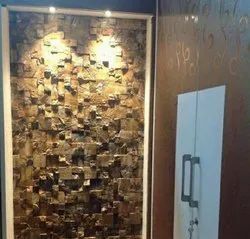 We are the leading supplier of wall covering stones. Our range of wall covering stone available in sandstone, slates, marble, granite and limestone. 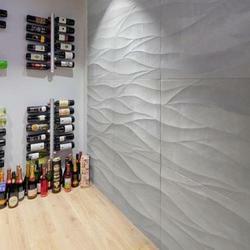 Our range of wall covering stone are available in various colors and finishes. 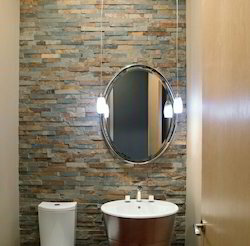 Wall covering stones are supplied by us are highly demanded for interior and exterior wall. We are leading manufacturer and supplier of Roman Pattern Stone Mosaic Tiles. These roman pattern stone mosaic tiles are made of Rainforest marble with natural finish could be use for interior and exterior wall Covering. We offers these wall Covering stone mosaic tiles at wholesale price for our valuable customers. We are leading manufacturer and supplier of Mosaic Tiles for Interior Wall. Mosaic Tiles are offered by us in different color options as well as exhibit both classical as well as modern finish styles that are well liked by our look conscious customers. 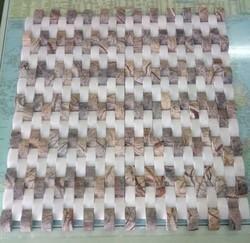 These mosaics are designs by us are with the premium quality of raw material. These stones are available in different varieties of attractive colors and patterns. These are supplied at high usage as boards in kitchens as well as bathrooms. These tiles can be offered by us in polished finish also. We are leading Manufacturer and supplier of Bidasar Brown Ripped Mosaic Tiles from Rajasthan. We supply these mosaic tiles at wholesale price. 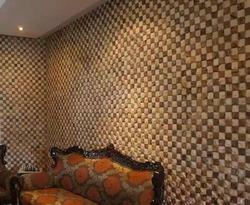 Bidasar Brown Ripped mosaic tiles are demanded for interior wall cladding. Mosaic Wall Murals Tiles are designed to look great and to perform for the long term Just because it`s constructed from Elegant Grey sandstone tiles. Mosaic wall Murals are easy to install, it doesn`t mean that each stone won`t stand up to the elements. This includes freeze/thaw cycles, and in various climates. Each stone helps to create a surface that is easy to maintain as well. All you need to do is use a gentle setting for your power washer. This is allowing you to transform your exteriors and your interiors easily, and quickly. Mosaic Wall Murals are crafted from elegant grey natural stone. We are leading wholesale supplier of Natural Wall Covering Stone Tiles for Bathroom Wall. Wall Covering stone tiles are available with panel shapes are crafted with strips and pest on net with best quality tiles adhasive. These natural wall covering stone tiles could be use for interior and exterior wall at any place.